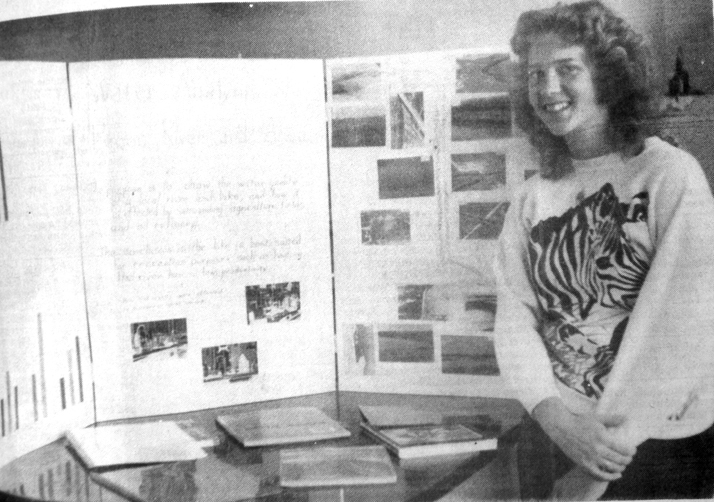 Looking back 40, 30 and 20 years ago, the following are excerpts from the Artesia Daily Press from March 27 – April 2. The Artesia Bulldog baseballers took a hard-earned victory over a surprisingly strong Carlsbad junior varsity team Friday night to clinch the semifinal contest after seven innings and earn the Big Orange a spot in the championship game against the Seminole Indians in the inaugural Artesia Invitational Tournament. That superior hitting strength of the Bulldogs finally emerged Saturday night, and what a better time to get it going from the plate than in the championship of the tournament. The ‘Dogs won the contest and title after five innings of play, 13-3. Artesians awoke early Tuesday to find a gentle, wet snow covering the ground that off and on for the past several weeks had been continually blown by March winds. Today’s snow had officially deposited .02 of an inch of moisture as of 7 a.m., but the snowfall continued steadily until nearly noon, leaving more needed moisture on the parched ground. As reported in the Pinon News: Robert Bell is having water problems, as the pump in the Jernigan well at Pinon quit pumping and all the well men of the area are not available at the present time. “Sonny” Watts is in Mexico on a fishing trip and Ernest Harwell is helping “Buz” Taylor fix his well, so Bell is trying to haul enough water from his ranch on Blue Water Canyon to supply the cattle, sheep and goats on the ranch. In his spare time, he is preparing for the shearing of the sheep and goats. The Artesia Bulldogs won the Artesia Invitational Tournament championship for the fourth time in the tournament’s 11-year run Saturday, whipping the Goddard Rockets 12-3 at Brainard Park. Artesia’s tournament victories over Tucumcari, Lovington and Goddard gave the Bulldogs a 6-2 record on the season. As reported in the Pinon News: Mr. and Mrs. Demry Andersn reported the first of last week they were expecting Mr. and Mrs. Oliver Ruebush from Deming for the weekend. Mrs. Ruebush is the former Emma Wilkerson and was reared in the Weed and Alamogordo areas. After leaving the Weed area she met and married Oliver, then several years later they moved back to the Weed area nd worked for the Camp of the Tall Pines, north of Weed. Emma is an artist and taught art classes. She taught an art course in the Pinon Extension Club building. A number of the women of this and the Weed area took art lessons while she was teaching there, so the Ruebushes are well-known in the area. The people are always glad to see them again. Artesia High School’s boys’ basketball teams were honored at their annual awards dinner. Taking home the top individual awards were Martin Barragan, Most Assists; Michael Rogers, Most Charges Taken; Andrew Patterson, Leading Rebounder and Most Valuable Player; and Jeff Howard, Best Free-Throw Percentage. Varsity letters and junior varsity participation certificates also were presented. Artesians now may get in line to get online with the new internet services available in town. Two companies — Pecos Valley Internet Access of Sharp Computer Services, and the Pecos Valley Telephone Cooperative Inc. — have or are in the process of obtaining internet services for Artesia. As reported in the Pinon News: On Monday, March 8, Mrs. Oza Holcomb was at home all day except to be at the barn early and late, feeding the horses and tending to her chickens. Tuesday morning early, she opened the front door and found a package hanging on the door knob from Mr. and Mrs. Michael Miles from St. Andrews, Monetoba, Canada, a delightful surprise, but a disappointment that she missed them. Some of the time, Mrs. Holcomb will be busy in the back room and not hear any knock, but if they ring the doorbell, she usually hears that. Mayor Ernest Thompson bid Artesia Fire Department Captain Jimmy Boyse farewell at a reception held March 29. Boyse said he didn’t think saying goodbye would be as hard as it was. The department presented Boyse with a gold pocket watch. Boyse will remain in the community. Looking back on his 34 years at the department, Boyse feels satisfied with his accomplishments. “I wouldn’t change a thing,” he said.